The Attack™ range provides the best labour saving, efficient and reliable machines to help make your job as easy as possible whilst providing exceptional results. 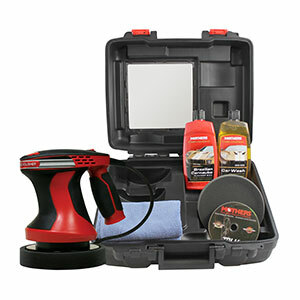 It all began with a single polishing machine and the concept of providing a complete kit for the everyday automotive enthusiast all the way up to the seasoned car care professional. Now, through innovation and development you will find the Attack™ brand has produced a solution for a range of areas of car care. 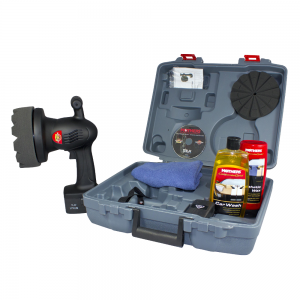 The strength of the Wax Attack™ Palm Polisher has extended to a Portable Polisher, Professional Polisher, Vacuum System and Compressor System. All of the Attack™ range is designed to provide the best performance available anywhere. Polishing your car, boat and motorhome is now a whole lot simpler, perfect professional results first time, every time! Looking for a way to increase the result and spend less time in achieving it? Then this machine is for you! 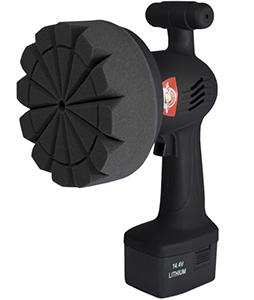 The Wax AttackTM 2 Palm Polisher gives you a quick and easy application and removal of polishes and waxes. Smooth and even wax application. Easily polishes hard to reach and uneven surfaces. Will not burn or mar your painted automotive surfaces. Uses less wax with greater results and protects in minutes. 1 x Car Care Instructional DVD featuring Mothers®, MLH® and Wax Attack. Designed & Engineered by Aussie Enthusiasts, for Enthusiasts everywhere!!! Whether you are polishing, waxing a flat or uneven surface the thick patented design pad will ensure smooth & even application. 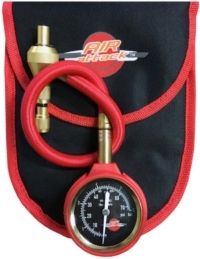 Perfect for use on cars, boats and motorhome. 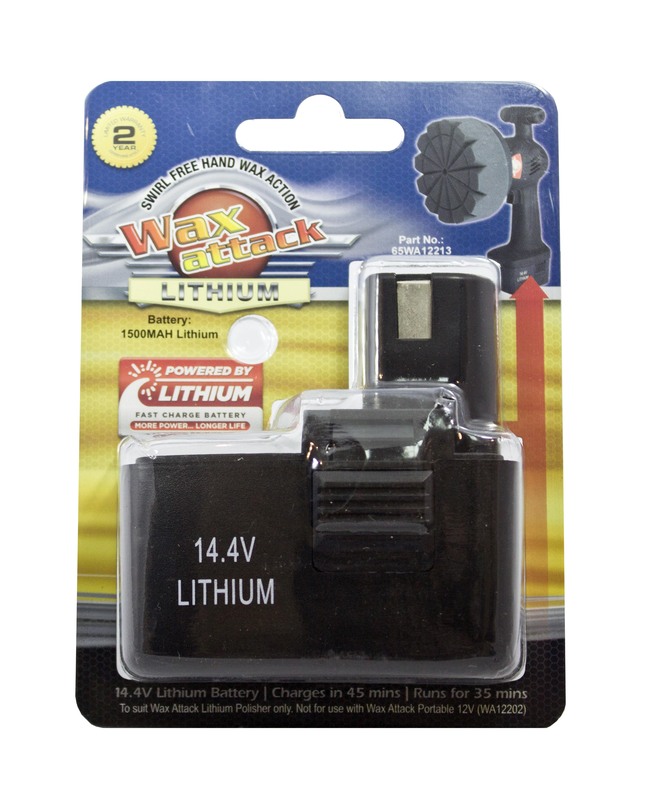 A Genuine Wax Attack Lithium! That’s right, just the Polisher!!! The Wax Attack is all about getting the best result, fast, with ease of use! 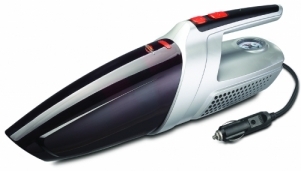 The portable polisher with our new 14.4V fast charge lithium battery. 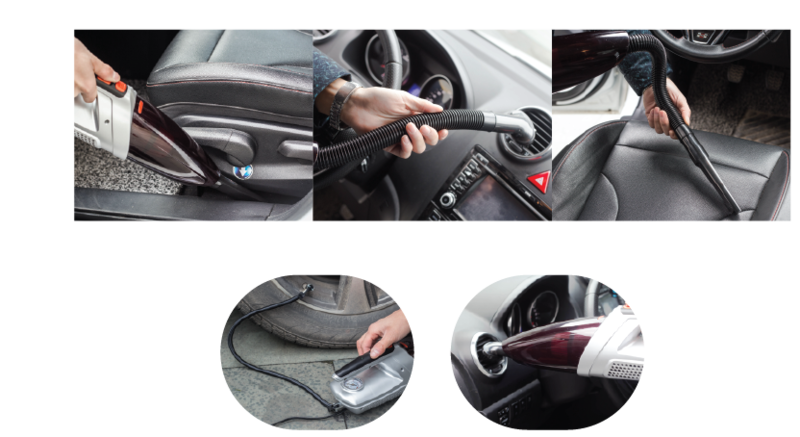 The fast charging Lithium battery is ready to go in 45 minutes whilst you wash and prepare your car. Need more power for larger jobs? The new 14.4V fast charge lithium battery is available separately. 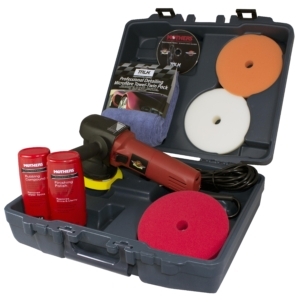 …the safest and easiest PROFESSIONAL polisher ever! Polish cars, boats, motorcycles, jet skis and heavy vehicles without scratching. Smooth and even application, like never before. 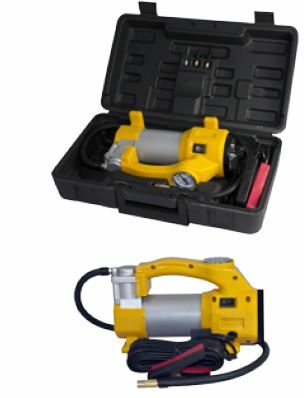 Easy to handle lightweight polisher for greater control and accuracy. Lockable on/off switch with variable speed. Complete professional solution for professional results. Car Care Instructional DVD featuring Mothers®, MLH® and Wax AttackTM. 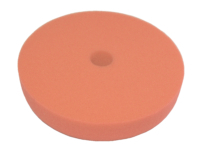 Suits the Wax AttackTM Palm, Portable and Professional Polisher’s and 5” (127mm) and 6” (152mm) backing plates. 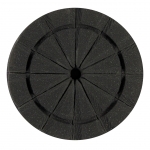 High quality European foam gives perfect results every time. Wash pads in warm soapy water. Cutting and compounding, removal of oxidation, light scratches, swirl marks and small defects. Specialised medium density foam is ideal for removal of light oxidation, light scratches, swirl marks and small defects. Specialised soft foam is ideal for glazes, sealants and waxes. Powerful 220W motor suitable for high pressure applications. 3.6m power cord with crocodile clips. The New Vac Attack now offers more than before. 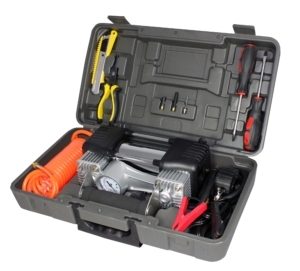 Not only a 120W portable 12v wet dry vacuum perfect for your car, boat or caravan the new Vac Attack now boasts a built in air compressor suitable for inflating tyres as well as recreational and sports equipment. Heavier duty design, perfect for 4wd and recreational activities. Upgraded motor – higher air flow with little increase in size. Designed with new sand trap on base makes it perfect for the beach and of road use as it will remain stable on sand and dirt. Removable filters fitted – filters can be removed and cleaned, or repositioned if hard mounting in vehicle. Quick connect air fittings make them easier to connect, easier to clean and maintain, other accessory tools can be connected without modification. 2-year limited warranty. Fast and Easy way to control your tyre pressure. Gets you out there to enjoy the sand and other recreational off-roading. Removing the valve core to let the air out in a simple, controlled process. No need to rush, push the slide valve forward to hold/read the pressure, pull back to release the pressure. Re-install valve core once desired pressure is reached. Correct Tyre Pressure Increases safety and fuel efficiency. 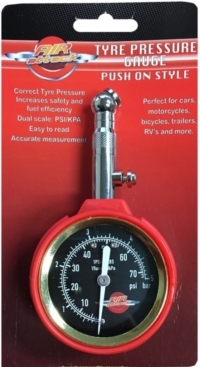 Dual scale: PSI/KPA, Easy to read, Accurate measurement. Perfect to cars, motorcycles, bicycles, trailers, RV’s and more.